The article examines the subject of research, focused on the study of economic and organizational relations and processes associated with the management of the investment value of land for residential development of the territory at the stage of land development based on the application of public-private partnership models. The relevance of this problem is related to the importance of solving the goal of increasing the commissioning of housing according to the message of the President of the Russian Federation to the Federal Assembly of 2018, which provides strategic plans for the transition from an average annual input of 80 to 120 million square meters. This is possible only through the use of economic tools for forecasting and managing the investment value of land. The purpose of the study is to develop conceptual theoretical and methodological and practical models for assessing and managing the investment value of land plots at the stage of land development in relation to housing construction with the priority of integrated development of territories on the basis of optimization of public-private partnership. As the applied research methods, a set of systemically interconnected methodological approaches based on the application of the theory of appraisal activity, economic and mathematical modeling, technical and economic, logical analysis, as well as the theory of risks, expert assessments, situational analysis and forecasting were used. The article shows both the author’s methodology and the results obtained that allow to simulate the management processes of the investment value of projects of the complex residential development of the territory to transfer it from negative to positive. Such management decisions are recommended to be carried out on the basis of the multivariate parameters of public-private partnership in relation to the performance of technical conditions, the volume of participation in social facilities, the transport and engineering infrastructure of construction. Ultimately, the article demonstrates the value of the completed studies both from the standpoint of the development of theory and methodology in the field of valuation theory applied to the category of “investment value”, and for the scientific and practical development of public-private partnership processes in the field of managing the increase in housing commissioning for corporate investment management and bodies of state and municipal management. Baronin S.A., Kulakov K.Yu., Denisova E.S. Upravlenie investitsionnoy stoimost’yu zemel’nykh uchastkov pri kompleksnoy zhiloy zastroyke ekonomklassa [Managing the Investment Value of Land Plots During Their Integrated Residential Economy Class Development]. Penza, 2013. Kulakov K.Yu., Denisova E.S. Analiz soderzhaniya i razvitie teorii investitsionnoy otsenki zemel’nykh uchastkov pod kompleksnuyu zhiluyu zastroyku [Analysis of the Content and Development of the Theory of Investment Valuation of Land Plots for Integrated Residential Development]. Nauchnoe obozrenie, 2013, no 1, pp. 314–318. Prikaz Minekonomrazvitiya Rossii ot 17 noyabrya 2016 g. N 722 “Ob utverzhdenii federal’nogo standarta otsenki “Opredelenie investitsionnoy stoimosti (FSO N 13)” [ Decree of the Ministry of Economic Development of Russia Dated November 17, 2016 № 722 “On Approval of the Federal Evaluation Standard “Determining an Investment Value (FSO № 13)”]. Otsenshchik.ru, available at: http://www.ocenchik.ru/docsf/2728-ocenka-investicionnoy-stoimosti-fso13.html. Rakovskaya M.V. Sovershenstvovanie mekhanizma upravleniya munitsipal’nymi zemel’nymi uchastkami pri realizatsii zhilishchnykh dolgosrochno-tselevykh program [Perfecting the Mechanism of Municipal Land Plots Management During Implementing Long-Term Housing Programs]. Moskovskiy ekonomicheskiy zhurnal, 2016, no 4, pp. 15–20. Rakovskaya M.V., Kulakov K.Yu., Baronin S.A., Uchinina T.V. Analiz predposylok razrabotki i realizatsii dolgosrochnykh zhilishchnykh tselevykh program na territorii Arkhangel’skoy oblasti [Analysis of Prerequisites for Developing and Implementing Long-Term Housing Targeted Programs in the Arkhangelsk Region]. Uspekhi sovremennoy nauki, 2016, no 9, pp. 122–126. Uchinina T.V., Baronin S.A. Development nedvizhimosti pri realizatsii proektov stroitel’stva ekologichnogo i energoeffektivnogo maloetazhnogo zhil’ya v Penzenskoy oblasti [Real Estate Development While Implementing Projects for Construction of Eco-Friendly and Energy-Efficient Low-Rise Housing in the Penza Region]. Izvestiya Yugo-Zapadnogo gosudarstvennogo universiteta, 2011, no 5-2 (38), pp. 325–331. Akalu Teshome A., Graaff J., de, Kessler A. Investments in land management in the north-western highlands of Ethiopia: The role of social capital. Land Use Policy, vol. 57, 2016, November, 30, pp. 215–228. Baronin S.A., Kulakov K.Yu. Developing affordable and energy efficient housing in Russia based on real estate total cost of ownership management. Journal of Advanced Research in Law and Economics, 2015, no 2, pp. 291–298. Baronin S.A., Kulakov K.Yu. 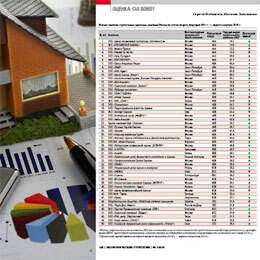 Development of the municipal market of land plot auctions for housing construction in Russia. Journal of Applied Economic Sciences, 2016, no 4, pp. 698–708. Baronin S.A. Functional and reliability modeling of land plots development in housing corporations. 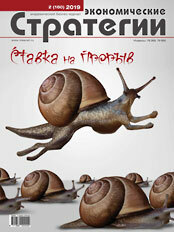 International journal “Real estate”, 2009, no 1, pp. 58–62. Kamenetsky M.I. Construction sector as a factor of national economy prospective development. Forecasting problems, 2013, no 3, pp. 76–91. Kardes I., Ozturk A., Cavusgil S.T., Cavusgil E. Managing global megaprojects: Complexity and risk management. International, 2015. Kumaraswamy M.M. Appropriate appraisal and apportionment of megaproject risks. Journal of Professional Issues in Engineering. Education and Practice, vol. 123, issue 2, 1997 April, pp. 51–56; Altshuler A., Luberoff D. Mega-Projects: The Changing Politics of Urban Public Investment. Washington, DC: Brookings. Institution Press. 2003. Methodological recommendations on the assessment of investment projects efficiency (approved by the Ministry of Economic Development of the Russian Federation, Ministry of Finance of the Russian federation, Federal agency of construction, housing and housing services of the Russian Federation, 21.06.1999, no VK477).